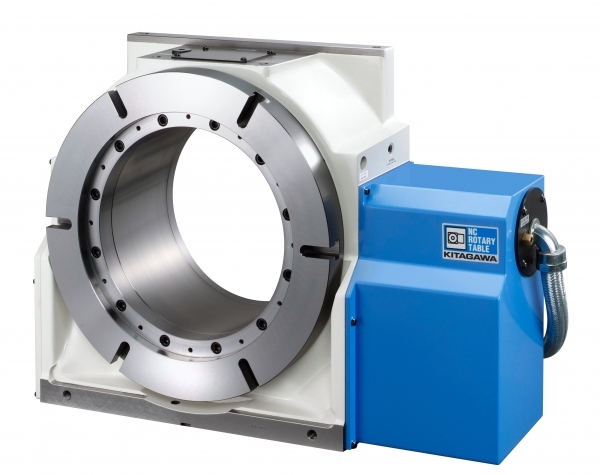 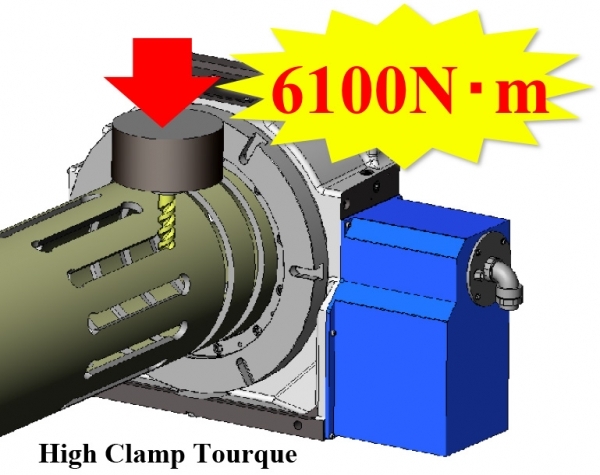 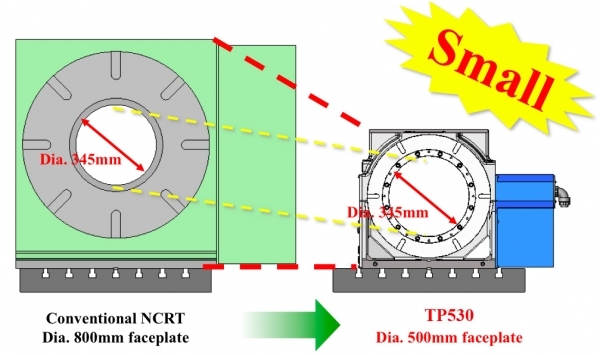 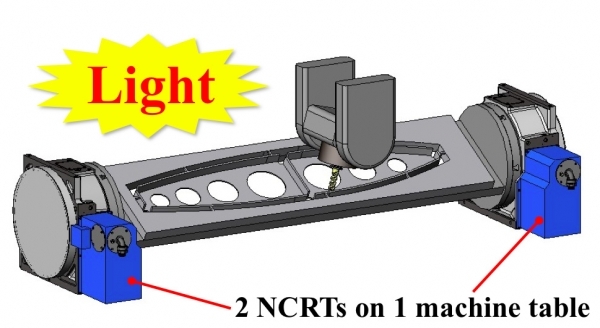 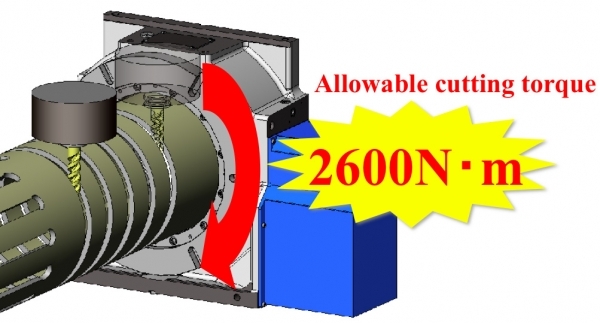 530mm diameter faceplate with maximum speed of 11.1 rpm with a clamping torque of 6100Nm. 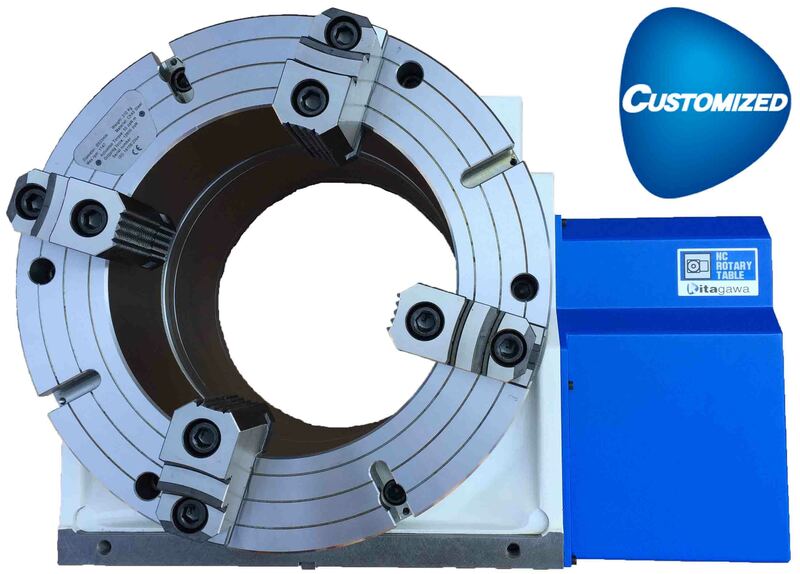 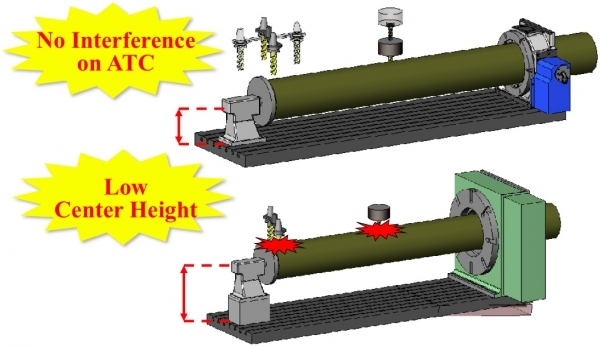 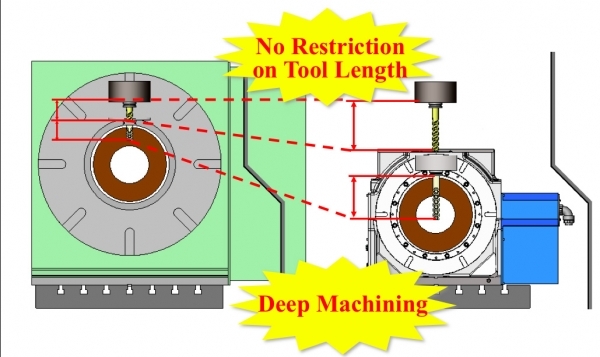 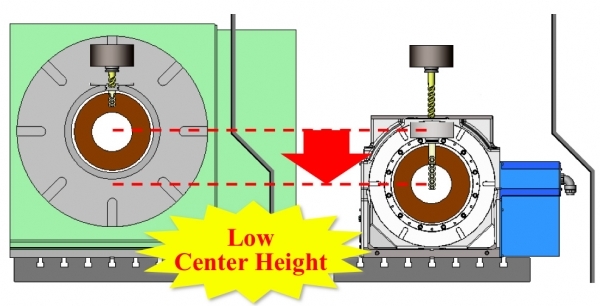 TP530 Rotary Table with large through hole, high clamping force, compact design and high accuracy. 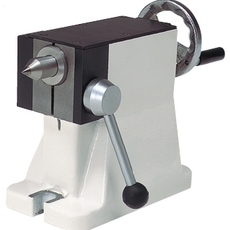 Avaliable with all motor types in Right or left hand configurations to suit a variety of machine models. 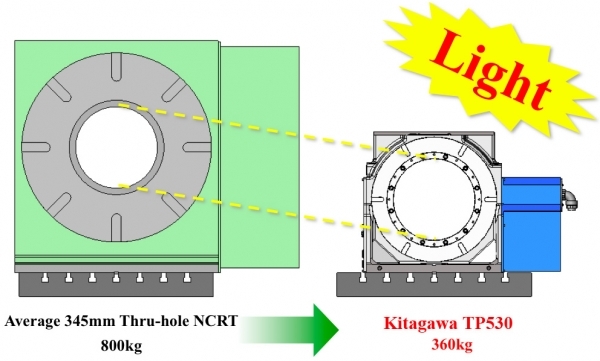 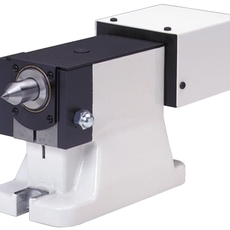 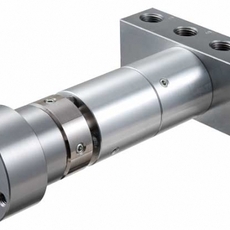 Kitagawa's TP530 is avaliable with optional tailstock, tail spindle and rotary joint.